Algeria has been hosting refugees from Western Sahara since 1975, making it one of the longest-running refugee crises in the world. Sahrawi refugees live in camps in the harsh, isolated desert environment of western Algeria, where opportunities for self-reliance are limited, forcing them to depend on humanitarian assistance for their survival. 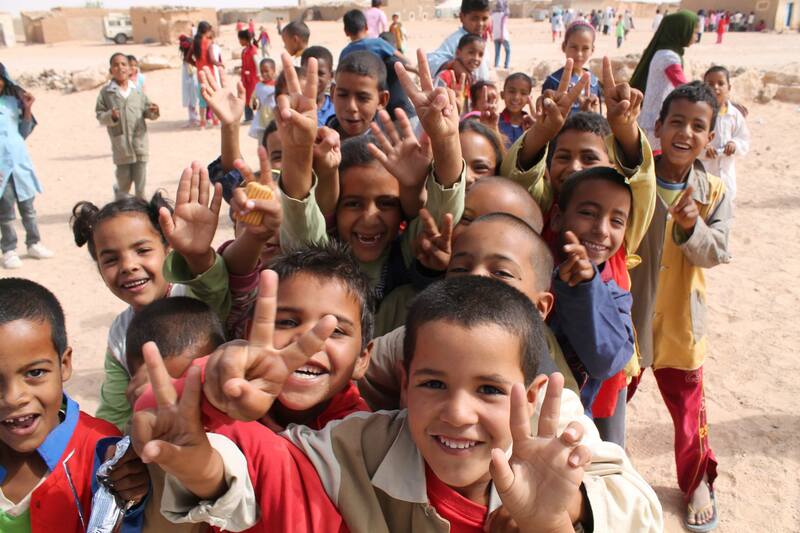 88 percent of Sahrawi refugees are either food insecure or at risk of food insecurity. Despite continued negotiations, there is little sign of a durable solution to the political stalemate and encampment remains the only feasible option for the Sahrawi refugees in the foreseeable future. The political status quo is fueling anxiety and disillusionment, especially among the young population, which could lead to increased insecurity and tensions in the sub-region. General food distribution: WFP provides more than 125,000 basic dry food rations each month at 116 distribution points across five camps. Nutrition: WFP combines prevention and treatment approaches to address anemia, stunting and malnutrition among children under the age of five, and pregnant and lactating women, targeting 22,500 individuals through 29 nutrition centers. School meals: WFP distributes mid-morning snacks, in the form of milk, fortified biscuits and dates in 80 schools to 40,000 schoolchildren. The goal is to maintain enrollment and retention of refugee children.